Rigid unicellular polyurethane foam is often used as a standard material for performing mechanical tests of orthopedic devices such as screws or instruments. It is often referenced as “Sawbone”. 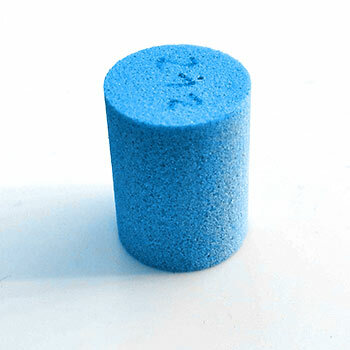 The bone quality simulated is given by the density of the foam referenced as “grade”. Typical grades for mechanical testing are 15 to 30. ASTM F1839 standardizes the properties of the test blocks by a set of tests such as compressive strength, screw pull-out and others. One weakness of this test standard is the lack of fatigue property data which is of importance for multicycle tests such as ASTM F2028.